Rohan joined Anterra in 2018 as an Asset Manager. He assists with execution of asset management strategies, analytics, reporting, and repositioning plans. Prior to obtaining an MBA, Rohan was an Engineer at Valero Texas City Refinery. 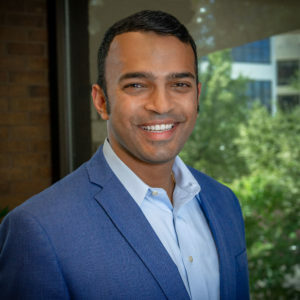 Rohan holds a BS in Chemical Engineering from the University of Texas – Austin and an MBA from Southern Methodist University. Outside of the office, he enjoys working out, playing sports, and running with his dog.